Setting goals is one thing – but trying to achieve them is completely different and can seem more difficult. However the best way to lose weight successfully with the HCG slimming injections or the HCG slimming Drops is to create both Short Term Goals and Long Term, weight loss goals. You may find it easier to set short term goals which will accumulate and result in long term goals and successful results. For example you may be looking at losing 20 or 30 kilograms and that might seem like a d challenge, but if you think of losing 2.5 to 3 kilograms in only one week that is much more achievable, following the HCG Diet this will happen. Before you know it the weeks fly by and you have managed to lose a whopping 10 kilograms and countless centimeters. To encourage and motivate yourself pick something up that weighs between 2 -3 kilograms and you will find that it is pretty heavy and that’s actual e fat you have lost. Looking at your weight loss challenge this way will actually keep you inspired and motivated. Long-term goals take a little longer but imagine that in the space of only 30 days you could be 10 kilograms lighter. Thirty days, flies by and it is actually an incredible achievement to lose 10 kilograms in this short space of time. 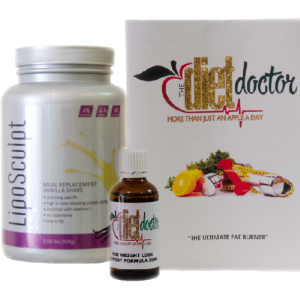 In fact there is simply no other slimming solution that can give you these kind of weight loss results. Do not allow yourself to forget the weight loss goals you have set for yourself and keep reminding yourself of your long term goal. Perhaps keep a record of your weight loss results maybe even keep a journal or get a picture of a slimmer you or even if you have never been slim keep a pic visible if how good you will look and feel once you have achieved your goal. Don’t ever forget your why – why do you want to lose weight? I know in most cases it is to look and feel better about yourself but don’t forget how much your health will improve by shedding that excess weight. You are building a beautiful, healthier, stronger body.